Home > 2018 > Event > THE WORLD > <LIVE - 14 May> Soft Darts World Championship “THE WORLD 2018” about to begin! THE WORLD 2018 has kicked off its 2018 season. 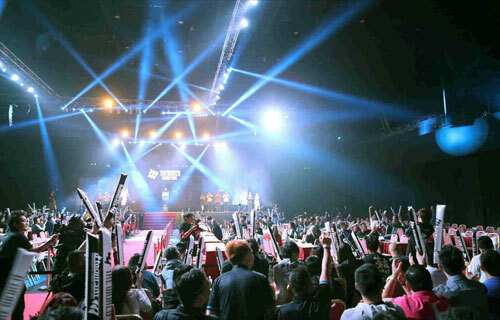 The soft darts world championship will have 5 stages and GRAND FINAL in this season. The competitions will be streamed live. The opener will be brought to you live from Las Vegas, USA. 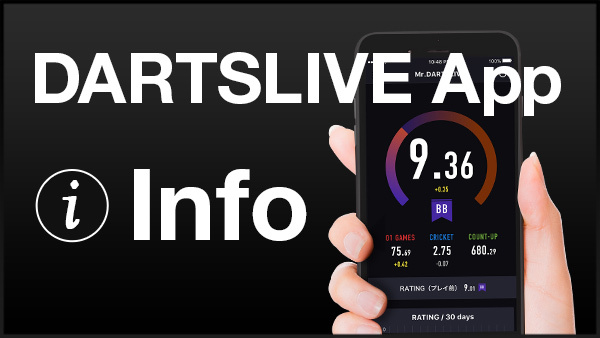 Watch Live Webcast on THE WORLD Official Website! The tournament is, in Lim's own words, “Not easy to win” even for a skilled soft tip darts player. Get set! The 2018 season is about to open. STAGE 1 will begin Mon 14 May. “Every stage has some players who have momentum on their side on the day. In other words, some players can't play their best and lose on the stage.” Says Lim. Lim is one of the greatest players in the world, and probably one of the finest of all time. World's darts fans revere the superlative skill and psychological strength of this veteran player. Lim shined as the top player of the 2017 season and is still progressing in his talents. His thoughts follow. The GRAND FINAL will take place this season for the first time in 2 years. Expect rivalry to be fierce as few spots are open for this season's finale. Only the year's top 8 players immediately qualify for the GRAND FINAL. Those ranked 9th to 100th can go head to head in the WILD CARD tournament, and battle it out for 4 remaining spots in the GRAND FINAL. The 2018 season just around the corner: Here's a heads-up on some outstanding competitors. Boris Krcmar(Croatia)was the winner of the GRAND FINAL in 2016. Though considered as a strong contender last season, he didn't win any stage of THE WORLD 2017. Can Krcmar redeem himself in THE WORLD 2018? His performance would change the power relationship of THE WORLD 2018 significantly. Alex Reyes (US) performed solidly throughout 2017 earning his way to a 3rd place ranking for the year. 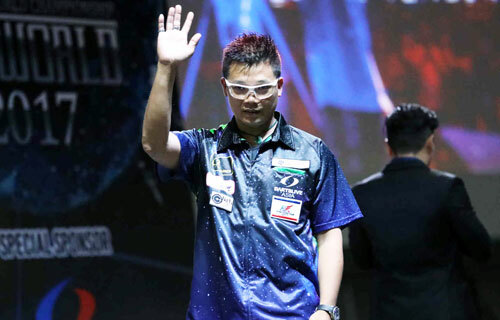 Royden Lam (Hong Kong), who showed a strong presence in 2017, has returned in full force for 2018 with a good shot at the championship. He has been playing in THE WORLD in its inception year of 2011, so he knows full well what to expect. Rounding out the contestants are some formidable females including Mikuru Suzuki (Japan). When handling soft tip darts, she excels like no other woman in her country. She may have a match outside it, though. In 2017 Tori Kewish (Australia) posted BEST8 in STAGE 6, the highest female record. Pressure's on for Suzuki. Can she beat the Australian record? This is a challenge you will want to see! The opener will be in Las Vegas on Mon 14 May. Don't miss the Live Webcast, the 2018 season about to start! Be sure to view the popular video of the 2017 season! One of the most important figures in soft-tip darts history. The Asian legend has over 30 years of darts career. He is the only player who won both THE WORLD GRAND FINAL and SUPER DARTS titles. He was the top player in both 2014 and 2015 Annual Rankings and won the GRAND FINAL in 2016. 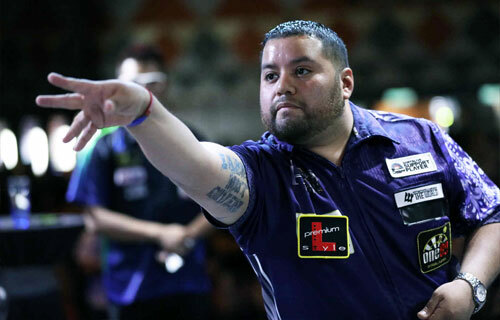 He is one of the strongest soft-tip darts players currently around the world. Crowned as the champion of 2017 Season STAGE1 in USA, his home county, and he was ranked the 3rd in the Annual Ranking for two seasons in a row in 2016 and 2017. He is one of the most solid US players. One the main players of THE WORLD, and he has been ranked the 3rd in the Annual Ranking for 3 years in a row since THE WORLD started. He is Hong Kong's top player and many fans are looking forward to seeing his outstanding performance. He has been participating in THE WORLD from its first year. 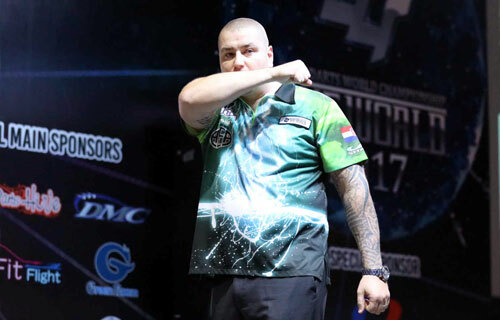 He defeated Phil Taylor, the world's strongest man, in SUPER DARTS 2018. 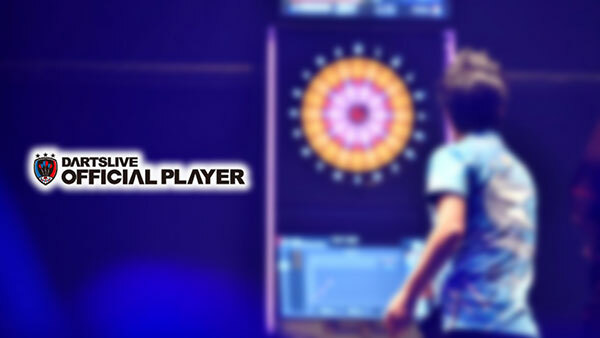 The Japanese player is one of the world's most powerful and popular players.